In many cases we continue to support vehicles for up to 50 years after there discontinuation from production meaning you can rest assured of having the best possible back up when needed. Engine parts - Pistons, rings, bearings, valves, oil pumps, gasket sets, timing chains and tensioners, water pumps, filters and mounts. Steering suspension - King pin kits, tie rod ends, drag links, bushes, shock absorbers and suspension mounts. 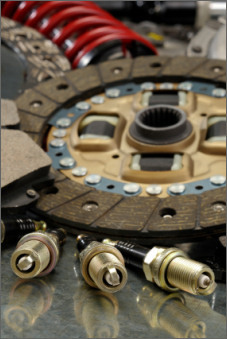 Brake and clutch - Clutch plates, pressure plates, thrust bearings, slave cylinders, master cylinders, wheel cylinders, brake pads, shoes, disc rotors, drums and hydraulic hoses. Electrical - Lamps and lenses, switches, instruments, ignition parts, distributor caps, rotors, points and condensers. Cooling - Radiator hoses, heater hoses, thermostats, housings and fan belts. Literature - Workshop manuals and spare parts manuals. 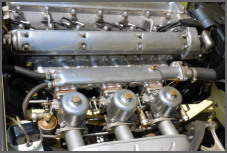 Since our inception, we have developed excellent stocks and supplier contracts for a wide range of classic parts. When detail and authenticity are important, we go to great lengths to find the right part. Wherever possible we try to supply original equipment items or parts manufactured from the era. In cases where the part you require is either no longer available or beyond your desired budget, we can usually offer a remanufactured replacement item of known quality. As it takes time to check warehouses and suppliers for these types of items, we cannot always answer your query immediately over the phone. 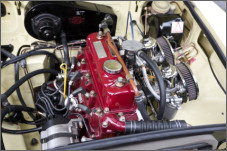 As enthusiasts, we are dedicated to ensuring the continuation and preservation of classic British vehicles and to supplying high quality reproduction and original parts. Parts available from stock are usually dispatched the same day. However, we will confirm with you whether you'd prefer to wait for any outstanding items before dispatching your order. One of the most difficult aspects of British car repairs and restoration is locating a reliable source of quality spare parts. 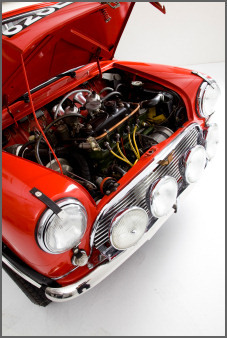 Not only does Graeme and his team at British Car Components offer an excellent service supplying replacement parts for our mainstream British classics but prepared to take time out to locate difficult items for the more obscure marques, whilst still ensuring the highest quality.